The volume has one pair of finely illuminated pages in red and yellow watercolour, black ink and gold leaf highlights. The illuminations are typically Malay/Southeast Asian in style. 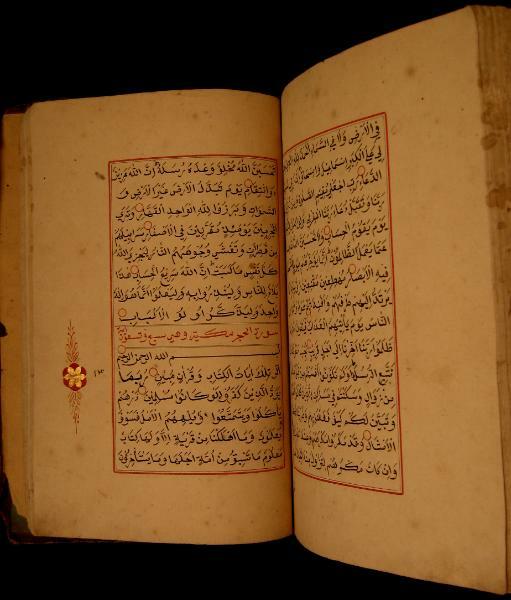 There are a total of 372 pages, or 186 double-sided manuscript leaves. In addition, there are 15 illuminated border illustrations in red watercolour and gold leaf which serve as section markers. The volume appears to be complete. Several pages are loose, the rest remain intact in the binding. 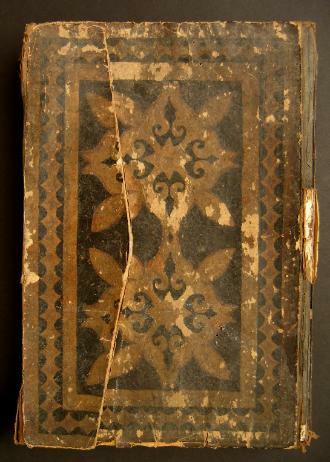 The condition of the cover bindings and some interior pages reflect the volume’s tropical origins. But most of the interior pages are in very good condition. 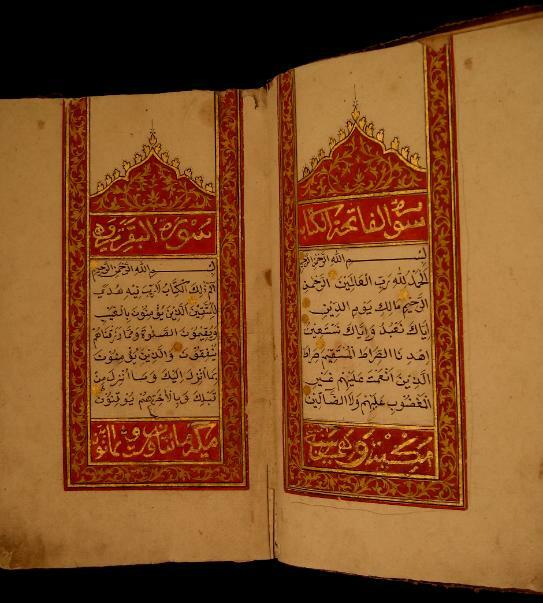 Some do have work holes however, which is not unusual for early Korans from Southeast Asia. for other items related to manuscripts & writing.